Backup, storage, sharing, local backup... iDrive does just about everything. 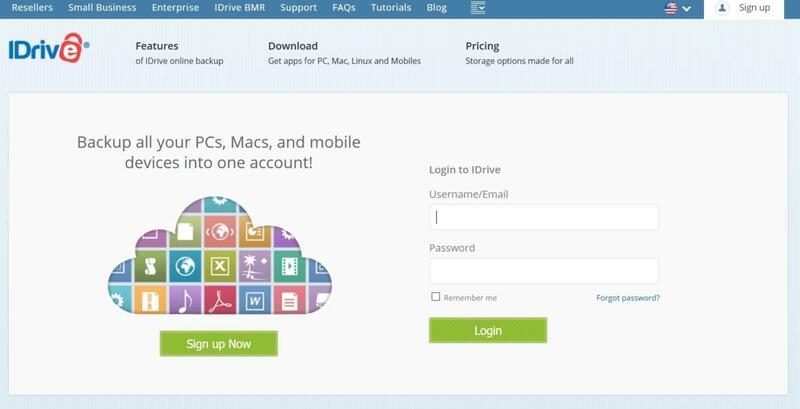 There’s no more complete online backup storage service than iDrive. And though it’s not the cheapest, it’s still affordable and comes with backup clients for nearly every PC and device, including Windows Phone—a rarity these days. The company also provides additional storage for syncing all your devices and PCs, allows sharing of files with anyone, and has the ability to back up to a local drive. See how well it compares to the competition in our big online backup roundup. 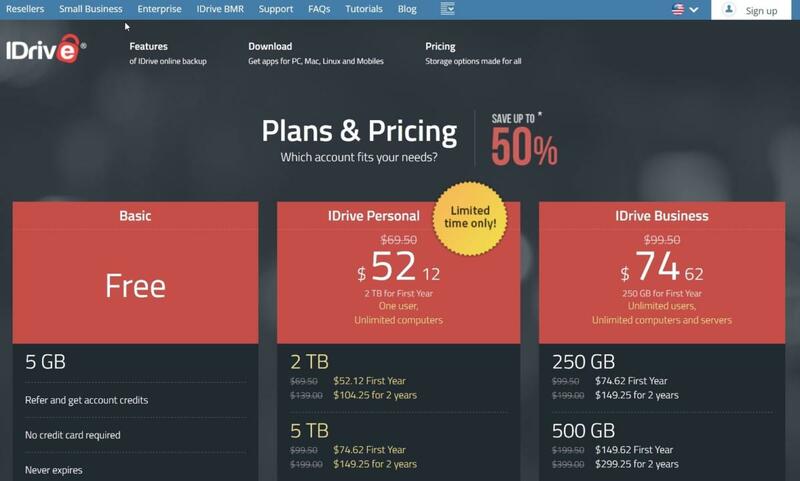 iDrive has two personal plans that cover one user with unlimited computers and devices: $69.50 a year for 2TB, and $99.50 a year for 5TB. If you enable the separate sync service, you get an equal amount of storage just for that task, at no extra charge. Business plans allow unlimited users and computers, but significantly less storage per dollar, starting at $99.50 for 250GB. Don’t get completely caught up in the price-per-gigabyte game: The size of your essential data is probably a lot smaller than what’s being offered as a minimum these days, unless you’re into HDR and 4K. iDrive, like other vendors had specials to attract departing CrashPlan home tier users at the time of this writing. iDrive also has a very nice ship-it-to-you restore policy. You can get up to 3TB of data delivered to you on a hard drive for free—the first time. Business users get three times. Subsequently, there’s a $60 charge. You can also send your data to the company for safekeeping in the same manner. If your bandwidth is challenged, or your simply prefer keeping it off the grid, this Iron Mountain-like feature is just what the doctor ordered. 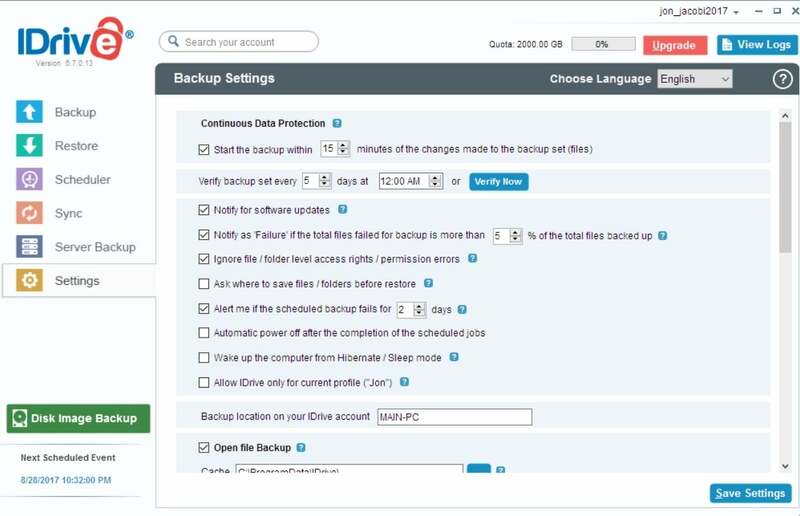 One of our favorite iDrive features is the continuous data protection (CDP). If you have a rapidly changing data set, it’s nice to have files backed up when they are changed, not just on a schedule. iDrive also supports nearly every type of PC and device: Windows, OS X, Android, iOS, various NAS boxes, and as we said, even Windows Phone. Also nice are the snapshots, which make it easy to restore your PC to a particular point in time. iDrive’s client will back up files as the change. That’s CDP, or Continuous Data Protection. The iDrive local client is nearly identical to iDrive’s online dashboard, so you can change settings, including turning on and off CDP using either. iDrive will also handily create a local backup using the same data set that’s being backed up online. That allows you to painlessly maintain the Rule of Three: your original data, a copy, and a copy of the copy. Also, it’s much faster to restore from a hard drive than from any online service. If you don’t require online document editing, iDrive truly has the most comprehensive set of backup and backup-related features of any online service we’ve tested. And, they’re all available at the basic service level, making iDrive less expensive that it seems. Good stuff.